She says. He says. Reflections on one year of living aboard. Sundown at the end of a rainbow, Deer Harbor, Orcas Island, Wash. Which day do we choose as an anniversary date? The day we left Fort Collins (Sept. 10)? The day Sundown arrived in Bellingham (Sept. 13)? The day we sailed away from Seaview North’s dock (Oct. 14)? It really doesn’t matter, because at the end of the day, we’ve been living aboard and doing life different for a year. Wow! The last 12 months went fast. I remember thinking often, “A year from now, I’ll feel so much better and will have so much more experience.” And actually, both are true. So what’s different than a year ago? For me, a lot! For example, I don’t break down in a nervous fit of tears every time we start the engine, put up the sails or when I struggle to tie fenders on with a clove hitch knot. (Really, that did happen.) I now regard the sails as my friends; they stabilize the boat and provide a quiet, peace-filled ride when there’s sufficient wind to only use the sails for propulsion. When there’s not enough wind (see below), the engine and Grateful Dead provide a steady drone I try to block out. I appreciate wind more than I used to. It’s always been the one element I dislike the most (So how funny is it I now live on a sailboat? Someone has a sense of humor!). Rather than being afraid of forecasted wind speeds above five knots, I now think “good sailing” wind is 15-25 knots. We don’t even hoist the sails unless we have at least eight knots of wind, because Sundown is a big girl! Her 15 tons of solid beauty requires more than a breeze to move her at any reasonable pace. And finally, Sundown feels like “home” and living in a tiny house that floats suits me. We have everything we need and then some. Life is good. One year living on Sundown. It is hard to believe! I remember the day we launched, as I walked over to the water with the boat hanging in the slings and felt so satisfied that all our hard work was going to pay off. I also felt a little nervous when I realized I’d never actually piloted the boat before. But when I took the helm to motor her around to the dock, she operated as expected. When we left Seaview North’s dock last year on this day (Oct. 14), we motored due to lack of wind to Sucia Island where we’d been before. It was a 21-mile ride, which felt like a long day. We’ve sailed 2,574 miles since then, and some days average 50 miles or more. It’s been a year of many firsts and a lot of growth. We visited many new places and made a bunch of new friends. And I feel like my relationship with Kim has grown in many ways. It has been amazing to see her become so comfortable with all the aspects of sailing. * We have had great adventures roaming through the islands both on land and at sea. So as the sun sets on 365 days of living afloat, we’re looking forward to the promise of more adventures to come. *Editor’s Note: I only could have made it this far with Clay’s help. His calm demeanor when things get exciting and his saintly patience with my ineptitude as I stumble along on the steep learning curve I’ve been climbing has been remarkable. He is so knowledgeable about this whole boat thing and I’m immensely proud of him. Thanks, Honey! Towering granite domes and walls rising out of the sea. Messages in the form of pictographs from ancient First Nation peoples on some of those same walls. Hundreds of waterfalls careening thousands of feet. Rock fish caught with almost every cast. Not another boat sighted for days. This is what we found in Roscoe Inlet. Roscoe Inlet is truly an amazing spot. Gary said it resembled Yosemite National Park; I was a little skeptical. As we wound our way deeper into the channel and turned corner after corner, the scenery got better and better, and my skepticism vanished. We went from Yosemite landscapes into the realm of the Lord of the Rings. The things I wanted to share with Kim in Prince William Sound (PWS) was the awesome snow capped peaks, waterfalls, eagles, whales and solitude. True wilderness. Here in British Columbia (BC) we have encountered all of these things. In PWS, the cliffs were not so spectacular as here, but there were glaciers. There are glaciers here in BC, too, we just haven’t gotten to them yet. In PWS there was a sense of true wilderness. (Well, in 1980 there was wilderness and I imagine PWS is still relatively wild.) Anchored at the head of Roscoe Inlet, we were so deep into the wilderness and remote, we didn’t have VHF reception. The Valdez oil spill occurred after I was in PWS. Even still, environmental impact was evident, unfortunately. For example, I learned to start fires in the rain using creosote timber washed ashore from docks. We encounter the same leftovers from logging and fishing here in BC. It’s astonishing the amount of garbage left behind by those industries. And the pictographs of the First Nation people that lived in this inlet that we think are so magical are just graffiti of another era. Had we gone onto Alaska or even out to Haida Gwai, we would have missed spending time in this otherwordly place. It’s getting serious now. 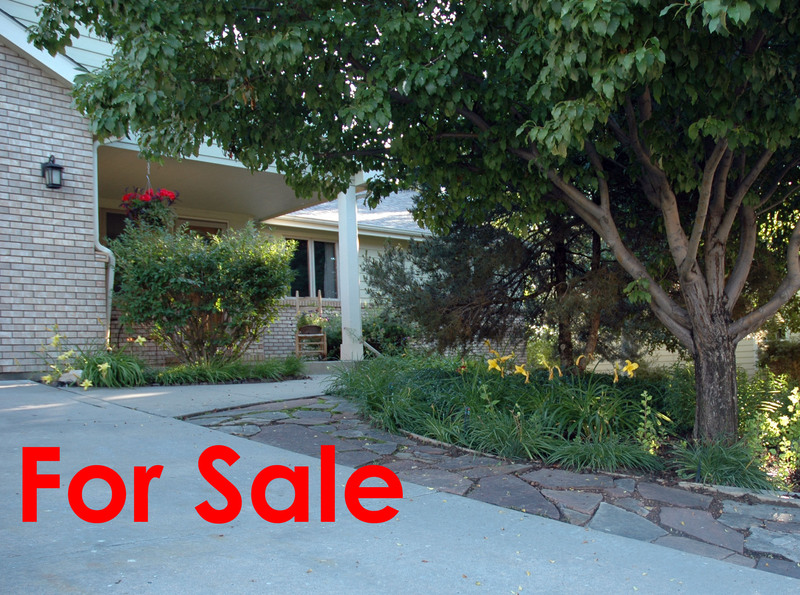 Our home is for sale and on MLS! Read all about it. Well, it was a big morning in the life of Sundown the sailboat. Her diesel engine was pulled and inspected by our friend, Sean Jennings, a top-notch diesel mechanic and all-around great guy. The process to get the engine out first required draining all the fluids and dismounting it. Our friend, John Betz, helped Clay do that yesterday. Today, a flatbed tow truck from Scott’s Towing hauled a fork lift to Sundown’s side. The fork lift was fitted with a long extension and a heavy-duty chain pulley was used to lift the engine from Sundown’s belly. All involved donned their nerves of steel as this was a . 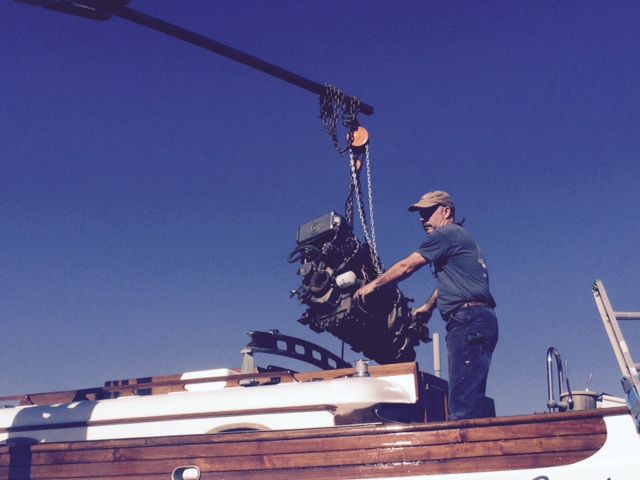 Once the engine was safe and secure on the flatbed, Sean gave the engine a once over and then his stamp of approval. It’s ready to rev! Now the engine compartment will be cleaned, painted and lined with new soundown, and then the process will be reversed to reposition the engine in its proper place. Check out all the photos in our Photo Gallery.